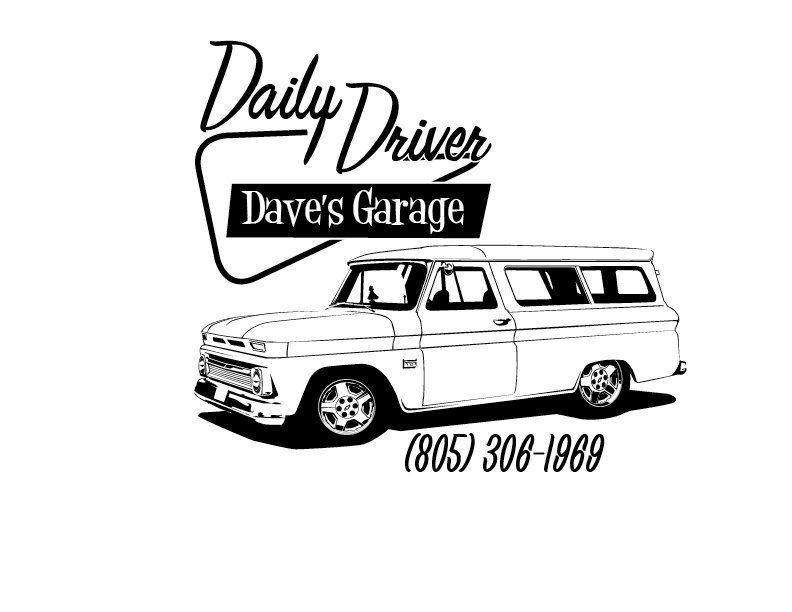 My old friend Dave Philhower owns a hot rod garage in Simi Valley, CA. Back when Dave and I were working together in Pasadena, he was building race car chassis and setting up cars for a variety of customers. Most weekends when he wasn’t fabricating props for the movie industry where we worked, he had some car in the driveway. We are now collaborating on some marketing materials for his business, starting with t-shirt designs and some other unique projects to be announced. Dave’s shop truck is a ’66 Chevy Suburban that he is currently painting. We chose to immortalize the ’66 and some other vehicles Dave either owns or has worked on. Fun stuff! I am creating them with vector illustrations from photo reference. I like the process of reducing color photos to a very minimalist black and white illustration. They will look great on t-shirts!